MILTON. eyewear is available at our Leawood and Olathe locations. MILTON. is the brainchild of Milton Grin, M.D., F.A.C.S., and brings together a lifetime of passions, experience, and expertise. 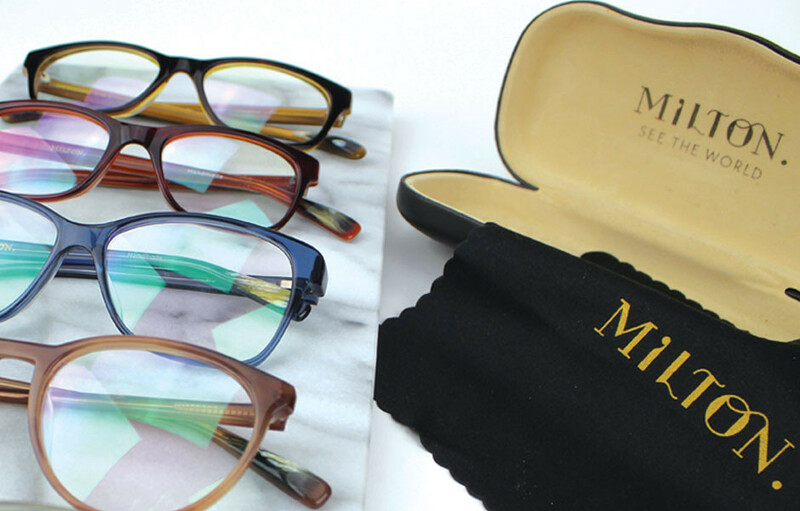 Blending the art and style of Dr. Grin’s upbringing in a creative, worldly family, the precision and standards essential to his successful career in ophthalmology and microsurgery, and an independent, entrepreneurial spirit, MILTON. is premium, handcrafted, personalized eyewear with a purpose: to see the world, in exacting detail. Milton teamed up with local artist Dani Maslan to capture his vision and design this exclusive line. The eyewear is completely hand-assembled in the United States. A brand of beautifully handcrafted, luxury frames + lenses inspired by, and in representation of the life of the doctor who made it all possible- from medical missions to safaris in Africa, meet MILTON.